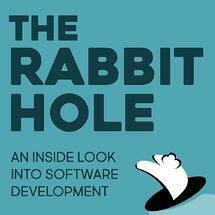 On this episode of The Rabbit Hole we delve into the subject of mentorship! To help us along the path we welcome Avielle Wolfe and Kimberly Suazo who are both developers at Stride. Both of our guests have been and are currently in mentorship relationships and are strong proponents of the support that the configuration offers. We discuss a few of the different ways in which mentorships can be arranged and carried out, the importance of clear communication early on and the transition that one can make from mentee to mentor. We also get into the benefits that mentoring allows the actual mentor and how teaching increases those areas of expertise. So for all this and more, be sure to tune in and get the low down as we go down The Rabbit Hole! The different mentorship arrangements that our guests have experienced. Opening the communication channels at the beginning of any mentorship. Documenting the areas in which you want to learn. Stepping into the role of mentor from being a mentee. Taking the lead in an organization with no structured mentorship programs. The link between teaching and expertise. Taking the mentorship paradigm out of the workplace into the rest of your life. Auxiliary benefits of managing a healthy number of mentor relationships. Knowing your limitations so as to not short change a relationship. Considering the usefulness of formats for a first discussion. [0:00:01.9] DA: Hello and welcome to The Rabbit Hole, the definitive developer’s podcast I’m Dave Anderson, your host for today, your regular host is out celebrating today, his wonderful wife’s birthday. I have with me here today are producer extraordinaire. [0:00:20.3] DA: And also two very special guests. Why don’t you guys introduce yourselves? [0:00:24.4] KS: Hi, I’m Kimberly Suazo, I’m a software developer at Stride. [0:00:27.9] AW: And I’m Avielle Wolfe, also a Software Developer at Stride. [0:00:31.2] DA: Awesome. Yeah, today we’re going to be talking about Mentorship. It’s not every company that has a formal mentorship program but that doesn’t mean that you shouldn’t be able to find a mentor and benefit from that. [0:00:43.6] WJ: Do you have a mentor Dave? [0:00:44.8] DA: I don’t right now actually. [0:00:47.3] WJ: Man. Well, good thing we’re having this podcast. [0:00:50.0] DA: Yeah. Man, please guys, tell me. I heard you guys are mentor and mentee, right? [0:00:56.8] KS: Yeah actually, Avielle is one of my mentors. I have more than one at the moment. [0:01:02.3] DA: My gosh, really? [0:01:04.4] WJ: You’re so popular. [0:01:06.8] KS: Mentor rich, yeah. Avielle is my official mentor at stride because at Stride, we actually have a mentorship program and my previous mentor left stride so I was left without a mentor and I was seeing how I would like another mentor I was talking about with Avielle and Avielle actually volunteered herself to be my mentor. That worked out perfectly well. I was also thinking that I would like a mentor in a technical area so I volunteered a fellow strider to be my mentor. Unofficial capacity. [0:01:43.9] DA: Cool, yeah. Okay, you all should give me some tips on that. I have to do that. [0:01:48.5] KS: Yeah, for sure. Basically, if there any area that you want to grow in, you could use a mentor. [0:01:57.4] AW: Officially or unofficially. [0:01:59.2] KS: Yeah, for sure. [0:02:00.1] DA: Do I have to tell them that they’re my mentor? [0:02:03.6] KS: That would be nice. I went to a conference and I met several wonderful people there and one of the things that I came out learning from that conference is that you can have several mentors in different areas of your life. You can have a mentor in a professional capacity that can help you with professional growth or technical growth but you could also have a mentor outside of work. More like a life coach and that kind of blew my mind, I never thought about it that way and afterwards, when I was looking for – when I found myself lacking a mentor. I was thinking, hey, I could actually use more than one mentor, I could use one more for professional growth and then another focused on my technical growth. [0:02:48.6] DA: Cool, who’s your next mentor? [0:02:51.1] KS: We’ll see. I don t’ know, I think when I find myself thinking, hey, I want to become better at this and then I can at that point try to find someone else. [0:03:11.1] AW: I have a previous company I worked for, I had an official mentor, I had actually three different official mentors during my time there and then I have found unofficial mentors, depending on the team that I was working with, mostly just by starting to ask someone a lot of questions, figuring out who it was who I’d be working most closely with who might have more experience than I did. Then pulling them into work with me pair when possible or just count on them on Slack and ask for their reviews on my pole quest. [0:03:44.6] DA: Nice, okay. Started out as something maybe more informal in some cases and kind of grew on to something more official. [0:03:54.2] AW: Yeah, a lot of the time, I don’t ever tell them that they’re mentoring me, it just sort of becomes that arrangement for the duration of time that we work together. [0:04:03.5] KS: The way I went about getting my unofficial mentor was just my co-worker was already behaving like a mentor and I was struggling with finding observable samples for my performance review and I asked for help from my coworker and he was very helpful and in conversation, I was saying the things that I want to work with. I was saying the things that I want to work on to improve and he was telling me how he could help me and I just asked him, do you want to be my mentor? He answered yes. That’s how I went about getting that mentor. Yeah. [0:04:42.3] DA: Nice. What are some of the things that you found like most useful in that relationship? Like, what kind of feedback have you specifically sought? Maybe some concrete examples. When I finally get my mentor I can ask them for some feedback. [0:05:00.8] AW: With one of my mentors right now, I am being mentored on mentoring, on being a mentor. I’ve been able to ask her, as I mentor Kimberly and other people, I’ve been able to ask my mentor how she’s mentored the various engineers that she has over the course of her career and one of the things I’ve learned from her is that one, no mentee is the same. Everyone has their own needs in their own ways in which they’re going to ask for help in their own ways, in which they’re going to need help and the major constant as a mentor is that you have to listen to them and adapt yourself to what they need from you. [0:05:42.0] DA: Yeah, that makes sense. I’ve had a couple of mentee relationships over my time at Stride and I feel like every single one of them has been kind of different. One, we would just go out to eat and like chat, the other one was like really focused on like technical things and like learning a very specific skillset and it almost felt like a completely different thing altogether. [0:06:04.8] KS: Something I find very useful is at the beginning of a mentorship relationship. To sit down and just sort of set out your expectations both as a mentor and a mentee. I find that it’s very useful to just put out your needs from the beginning because it sort of shapes that relationship as you go. As a mentee, I say, these are the areas that I struggle in, these are the areas that I’m looking to improve the most and can you help me in those areas, what are you looking – I also ask as a mentee to my mentor like, what are you looking to improve because I could also mentor up. You can be a mentor in your day to day life, it doesn’t have to be an official relationship. [0:06:51.2] DA: Yeah, I guess that also helps you because then, at some point in the future if you ever want to mentor someone then you’ve already kind of had that kind of a training wheels on, experience where it’s like a safe space, you trust this person, you’ve already opened up and told them, these are the things that I am the worst at and I want to get better at. Yeah, that’s pretty challenging. I guess like, it can be tough then to know exactly what you’re good at or where your strengths are. Also communicating that. Yeah, I feel like that’s tough too. [0:07:24.3] KS: That’s very difficult and my mentor actually helped me a lot with that. One of the most actionable pieces of advice I’ve ever gotten was from a previous mentor. I was struggling very much and articulating my strengths when it came time for performance review and I was just also struggling in articulating those strengths to myself in general to feel comfortable with my abilities as a developer. You know, I have struggled a lot with imposter syndrome so that was something that was very difficult for me and one of the best pieces of advice I’ve gotten was, you should document everything that you do, if you start documenting what you do at work then it is very easy to get observable like samples of things that you do well or things that you’re actually doing. That might seem like a lot, like document everything that’s a little too much, right? What my mentor said was when you encounter a problem or an area that you want to work on for yourself, write that down and then write down what you did, write down specific examples of what you did or when you encounter something, a pain that you’re feeling as a developer in a team, you can write that down and then you can document what you did to try to solve it. If you’re having – if you're feeling like a strong pain and you can then write down like hey, maybe I went and talked to my lead and suggested a different retro format. In the end, what I got was a list of things that I actually did instead of me thinking, my god, what did I do, I didn’t really do anything. Which is just my normal train of thought. [0:09:22.6] DA: No, I totally have that feeling too, especially if you’re working on a really challenging programming problem. Like sometimes you’re in your comfort zone and you can be very productive and you’re just like, popping off PRs left and right and you feel like yes, I’ve made the correct career choice but then if you hit a barrier to your understanding or a really challenging domain problem then you can go for a week without having some meaningful work to show to your colleagues. But if you do document things like you're saying then yeah, there’s a lot of things that you do and you can see the pattern of where you’re going with it. [0:10:02.3] AW: Those moments where you do get stuck like that are opportunities to find what I consider a sort of short term mentor. And for me, that’s different than going to someone and just asking them for help and getting an answer from them. If there’s going to be this feel of mentorship then they’re not just going to give you an answer on how to resolve this problem that you’re facing, using a new technology or fixing something but they’re going to show you how they reached that solution. And they’re going to give you context around that problem as well. [0:10:36.3] DA: After you’ve really built up your relationship with your mentor and you’re feeling really confident in your abilities and you’ve gone to the point where you’re mentoring them and mentoring up as much as they’re mentoring you. What’s the next thing you can do? Like how do you become a mentor yourself? [0:10:53.3] AW: I’ve had it happen in a few different ways so with Kimberly, I’m new to our company and it was, I think my first week when we were chatting and she told me that her mentor was leaving. For me, this is an opportunity to get to know someone at the company, to impart knowledge that I had coming in from some other places and to also get insight into this company and how it works, especially because we do have this official mentor structure. I jumped at the opportunity and Kimberley it’s wonderful, so it’s been great. [0:11:32.2] AW: At other times, it’s just been because someone has come and asked for a question, asked the question to me of some sort and I see an opportunity to give them - I guess this goes back to what I was saying before about giving them more than just an answer but giving them context and knowledge and if we’re working on a team and working with the same people day in and day out, there’s tons of opportunities for that. Especially in environments where you will sit down and pair with someone or sit down and like, you know, meetings with people every day and you see the same people over and over and people normally want to learn and they’re happy to share knowledge. I think that’s something that I love about how the engineering culture is. There is never a dearth of opportunities to mentor, it’s just about being able to identify them. [0:12:24.0] DA: Yeah, I guess that makes sense. In a highly collaborative environment, there’s a lot of opportunities for like the follow through and like continually checking up and okay, like not just answering the immediate need of how does this class work or what method do I call but like, you know, following, providing next steps and following through on that. [0:12:45.4] AW: Exactly. Especially if you’re working with junior engineers, a lot of companies don’t have an official mentorship program and I would definitely encourage people who are mid-level or senior engineers to mentor the junior people and to give them extra attention. It’s not just useful and valuable for the juniors and for the company because it allows the juniors to level faster. But also for solidifying your own knowledge and being able to explain that to someone else and often you’ll need to do that if you want to take the next step in your career if you want to talk at conferences, if you want to move into management positions or move into any sort of like leadership advisory architectural role. You need to be able to explain the things that you’re doing. [0:13:31.2] DA: Yeah, that’s true. It’s funny how through teaching, I feel like there have been things that I have started to learn myself and then had to teach someone else and through teaching, I became an expert and it was confusing to me because I was not an expert when I started but then when you have to explain it to enough people, then it gets really ingrained in you. [0:13:55.1] AW: Yeah, I would never say I’m an expert in something if I haven’t taught it. I don’t know if that’s controversial or not, it’s just the way I feel about my own knowledge. [0:14:04.7] DA: Yeah, that’s true. I guess that’s a good level or baseline too. If the never questions coming in are like higher than the number of questions coming out then there’s at least a relative level of expertise. [0:14:19.5] AW: You mentioned earlier that you are hoping to find a mentor and what is it that makes you want to find someone? [0:14:28.4] DA: Yeah, that’s a good question. I guess like, it can be pretty easy to get caught up in your head and lose perspective professionally like okay, what’s really important in this situation? Let’s get to like bounce ideas off of someone else. Even if it is like in some ways maybe a rubber ducking type thing. Maybe they never had experience in this particular area. Its’ really just like a sanity check or something like that. That can even be really helpful but also just like getting a different perspective. Someone who has like a different background and experience. I think that’s definitely worthwhile to like kind of collect those different experiences and take advantage of that. [0:15:10.8] AW: That makes sense. [0:15:11.5] WJ: Yeah, I think if there’s somebody who usually is able to convince you, that’s a good candidate for a mentor. I think there are some people who I go to for different areas of my life when I’m unsure of what the right answer is and I go to them partially so that I can talk through the problem and come to my own conclusion, rubber ducking. Also because I know that usually when I go to them, they convince me. They convince me of whatever the right answer is. It’s just like a person you trust. [0:15:42.8] KS: These people, are they always at your workplace or are they outside of work as well? [0:15:50.0] WJ: I think in all walks of life in, all areas of life. [0:15:54.7] KS: Yeah, I think something that people do is that they limit themselves to looking for a mentor or a mentee at work but you can really expand that and if you feel that you want a mentor and that isn’t – you're not in a collaborative environment and you don’t have anyone at work that you can look for, there are organizations that pair you up or you could go to meetups and try to build those relationships. But if you feel that you have something to offer, then by all means, don’t limit yourself to your workplace and when you meet people, if you see someone that you feel you can offer advice then try to help them in that area. [0:16:35.7] WJ: But what do you get out of it? [0:16:37.1] KS: You grow. Everything that Avielle was saying earlier, it’s like Avielle said, or Dave said, you become a master by teaching, you also help the tech industry. [0:16:51.6] WJ: The other thing that I’ve noticed is that the people in the industry who do a lot off mentoring tend to have sort of a following. It’s an interesting way of building networks. I’ve seen people leave a company and go to another company and then all of a sudden, variable to pull a whole lot of people who want to go and work for them because they’ve been mentoring them for years. [0:17:12.0] DA: Yeah, that’s a common thing. Can link different counters of people. I feel like in life, sometimes it feels like there’s a lot of obligations and it can be very busy to accept this kind of responsibility. But I do have friends who have mentors that are outside of their job and they only meet with them maybe once every six months or once a year. They really don’t have a very close relationship with them but like, they do meet and talk pretty in depth and it seems like there’s some value in that too. Like having kind of different levels of intimacy with those mentor relationships too. [0:17:52.3] AW: I sometimes have had it happen that there were interview candidates at a company I was working for and I interviewed them and they didn’t end up getting the position but I would continue to meet with them afterwards and sort of mentor them or give them advice as they move forward in their career. Then occasionally, they might reapply and then make it that time. [0:18:15.5] DA: Yeah, [inaudible] that referral money. [0:18:21.5] DA: Yeah, I totally feel that, there definitely be some candidates that I’ve interviewed and I get really attached and I know that it’s not completely right, it’s not a complete fit for the company right now. It’s like, your head is in the right place. You’re thinking the right thoughts and yeah, that makes sense, I like that idea a lot. [0:18:42.6] WJ: If you're afraid of taking on a mentee, maybe consider taking on somebody who you’re only meeting with, you know, maybe once every six months, something low commitment, maybe somebody who you interviewed, who you liked. I suppose you could do the same thing in the other direction, right? You could have 10 different mentors, all of whom you only meet with once every six months. It might be easier to get some higher ranking mentors who might not have as much time in their calendar. [0:19:11.8] KS: For sure. I think before I ever had a mentor, I had this idea that a mentorship relationship had to look a certain way, we had to meet a certain amount of times. But I think it’s important to keep in mind that you set your own cadence with your mentor and mentee in that something that you choose that works for both of you and you shouldn’t limit yourself because you’re thinking ahead of time that you don’t have enough time. You can set a cadence that works for your schedule. [0:19:40.0] DA: Is there any cases where someone to shouldn’t be a mentor? Regardless of like how skilled or knowledgeable they are? [0:19:48.1] AW: If they don’t care about the people they’re menteeing or the people who are their mentees which I don’t mean it as harsh as I don’t care about them, it’s people. I just mean if you’re in a place in your life where you don’t have that emotional or mental energy to give the proper attention to your mentees and we just talked about like how we can make it so it’s not a huge commitment. But, if you’re promising things that you can’t deliver then I would take a step back and either reformat the relationship you have with your mentee or maybe step back from mentoring in general because you are creating an expectation and you want to live up to that expectation on both sides. [0:20:29.2] DA: Yeah, that’s true. I think it’s like, that goes back to what Kimberly was saying earlier about like having a really good communication and being upfront about what kind of limitations you might have. [0:20:40.3] WJ: Let’s say you’ve taken on a mentee now, what do you do in your meeting with them? Do you have a format, do you have an outline, what do you do? [0:20:49.4] AW: I like to meet regularly with mentees and that allows for a sort of standard format and this is something I’m still developing so I can’t say I’ve really practiced it that much right now and it’s something that I’m also learning from the people who are mentoring me which includes William. I like to ask, a general overview of how that been under the topic of mentorship since last time. We chatted, things that have gone well, things that have not gone well. And in particular, if there are any like issues that want, that they want to discuss to kind of have time to go through those things in detail. [0:21:34.1] DA: That’s a very open ended question. [0:21:35.9] AW: Yeah, it is. I like to do it because I’m there for them in that moment and venting is something that oftentimes, it’s hard to find a place to vent because you need to have people who are going to listen to you, who aren’t going to be critical about what you’re venting about, you need to let something out and I think that that’s something that a mentor can do. I always like to ask that question. At the end of something I want to ask if there’s something that I could be doing differently or just discuss how the mentoring itself is going. [0:22:07.5] KS: Yeah, or you could ask like what could I do to help you as well. As a mentee, I like to prepare for my sessions by thinking, what are areas that I’ve struggled with since your last session, what are areas I want to grow in at the moment and then some of the ideas of how I think I could do that. But then also ask my mentor like how do you think I could grow in this area or what are the things I could do to get better at X. I don’t’ think there has to be a formal format. [0:22:37.7] AW: Some people really like setting goals but not everyone does but generally, you have this relationship because you’re aiming towards something. They might be like very - you have an idea of like where you want to get to, what your mentor can help you do. So checking in on those as well. [0:22:54.6] DA: All right, well, it was great having you guys on. Is there anything that you would love to plug? [0:23:01.3] KS: Yes actually. The Diversity Committee at Stride is beginning an external mentorship program to help increase diversity in the tech industry but it’s really open to anyone so if you are a developer and you’re looking for a mentor, reach out. [0:23:19.0] DA: Cool, yeah, that sounds awesome. [0:23:21.0] KS: Tweet @stridedev and someone will point you the right way. [0:23:25.4] WJ: How do you spell that? [0:23:36.8] KS: I was not ready for the spelling B. [0:23:40.9] DA: You nailed it though. Well, it was wonderful to have you Kimberly and Avielle. [0:23:44.5] KS: It’s been lovely. [0:23:45.9] DA: And always wonderful to have you William. [0:23:47.5] WJ: Yeah, it was great to be here. [0:23:49.3] DA: Follow us now on twitter, @radiofreerabbit so we can keep the conversation going. Like what you hear? Give us a five star review and help developers just like you find their way into The Rabbit Hole and never miss an episode. Subscribe now, however you listen to your favorite podcasts. On behalf of our producer extraordinaire, William Jeffries and my hosts, Michael Nunez who could not be here today, and myself. Dave Anderson. Thanks for listening to the Rabbit Hole.